One of New York’s most historic bars is back, with the help of the Sushi Nakazawa team. Here’s what they’ve got on the menu. When I got caught up in the lure of the restaurant world, I loved that the insider term “to 86” (to stop serving someone), was allegedly invented there. 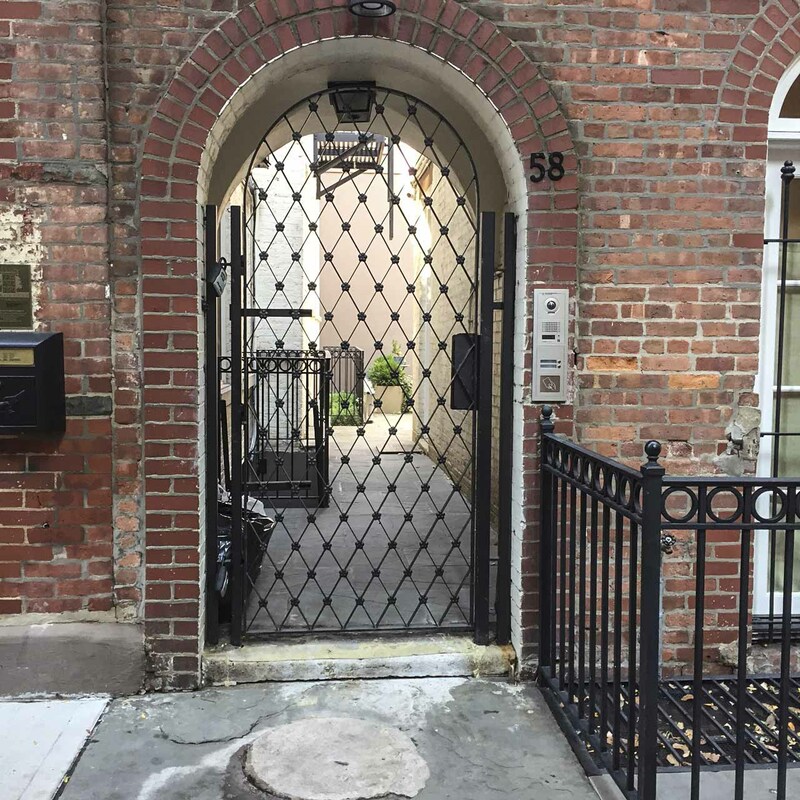 Legend has it that, during Prohibition, customers would exit via the door at 86 Bedford St. when the cops were coming through the entrance on Barrow Street. And then, there are the astonishing literary lights who hung out there. I’ll name just a few: William Faulkner, Ring Lardner, John Steinbeck, Ernest Hemingway, Edna St. Vincent Millay, F. Scott Fitzgerald. But some places don’t age well, especially when they hit their eighties. At some point, Chumley’s, which opened in 1922, became a spot where patrons peed outside in the courtyard and got into late-night, noisy fights (in front of multimillion dollar Village townhouses). There was a lot of Budweiser on tap and greasy pasta coming out of the kitchen. In 2007 a chimney collapse shut it down, and everyone thought the legendary bar was gone for good. Enter Alessandro Borgognone, who owns Sushi Nakazawa around the corner. As the property looked as if it were about to be lost, Borgognone scooped it up and embarked on a giant restoration to bring back the original, fabulous spirit of the place. 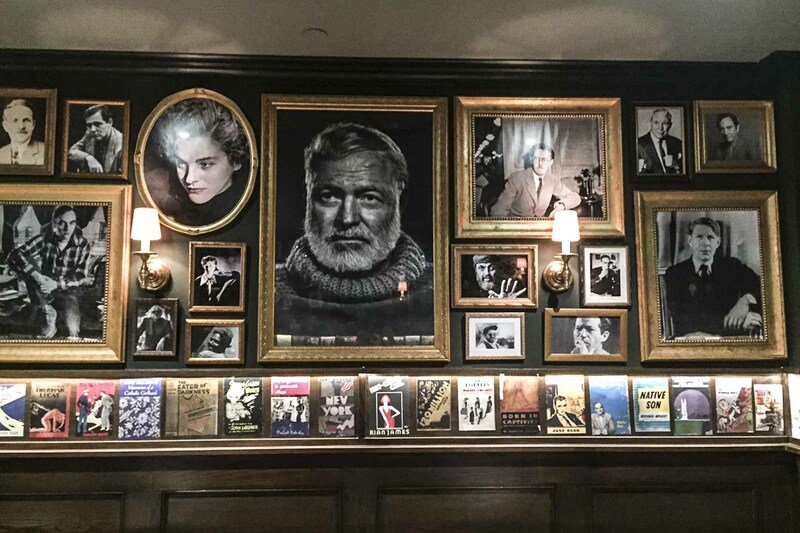 Once again, the walls are lined with the book jackets of writers who sat at the tables, and the walls are packed with the authors’ portraits—more than 250 of them. 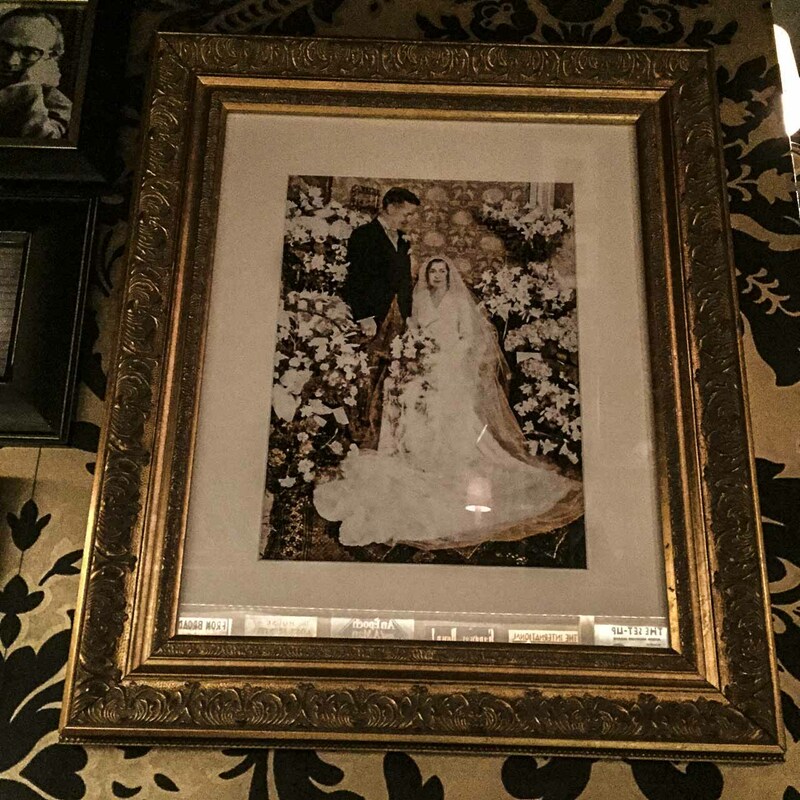 Portraits of F. Scott and Zelda still hang about the nook that is known as the Fitzgeralds’ corner. But because the collapse destroyed so much, Chumley’s dining room has shrunk at least 10 percent, both in height and width. (The upside is good air conditioning and better plumbing.) Former customers will note that steps no longer lead into the dining room. And the courtyard door, once one of the Puckish aspects of the place that made going there so charming, is now permanently closed. (That also means the now privately,owned courtyard, known as Pamela Court, won’t serve as a de facto bathroom.) “Those days are definitely gone,” said Borgognone. The biggest improvements at Chumley’s can be found in the drinks and especially, on the menu. Once upon a time in the history of the joint, the food may have been good; toward the end, it was dismal. Now, South America-born chef Victoria Blamey has serious ambitions for the cooking: she’s previously worked at such notable New York spots as Atera, Corton, and Upland. Her menu, which will be handwritten and changing daily, mixes American standards with elegant international flourishes. 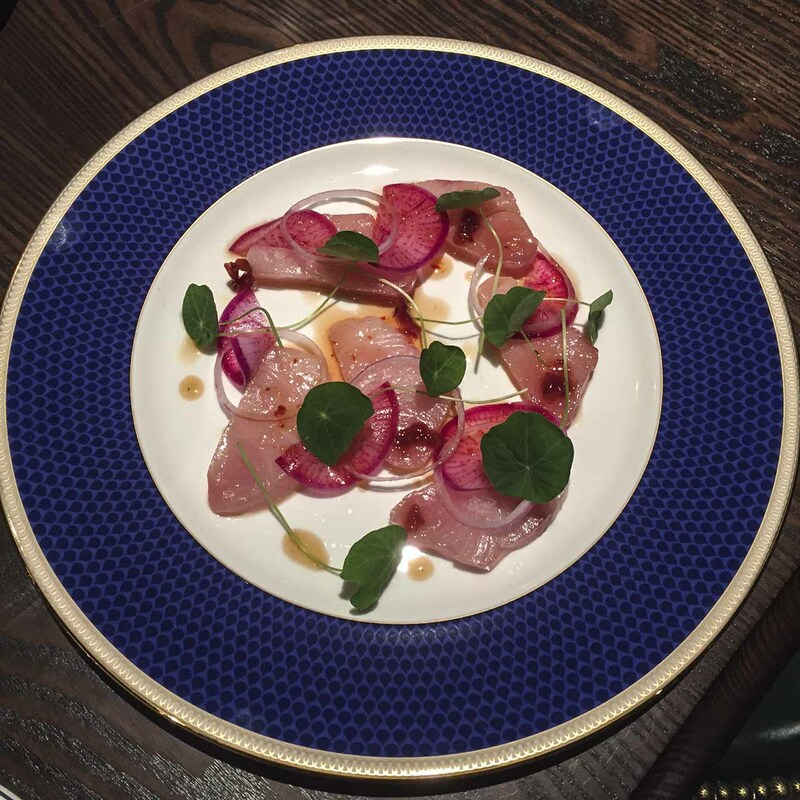 Her hamachi crudo is astonishing, quickly cured and topped with dehydrated cherries, house-smoked chipotle chiles, and fish sauce dressing. There’s also a snack of soft baked pretzel with remoulade sauce and a chicken in Cognac sauce, which sounds like a major throwback until you see that it’s served with pickled black trumpet mushrooms and garlic oil. The 30-day-aged bone-out rib-eye (steak for two) comes with oven-roasted onions and Madeira jus. The dessert menu will always include an ice cream sandwich; the first version is filled with raspberry ice cream. But the focus of the most attention is the high-rising burger. 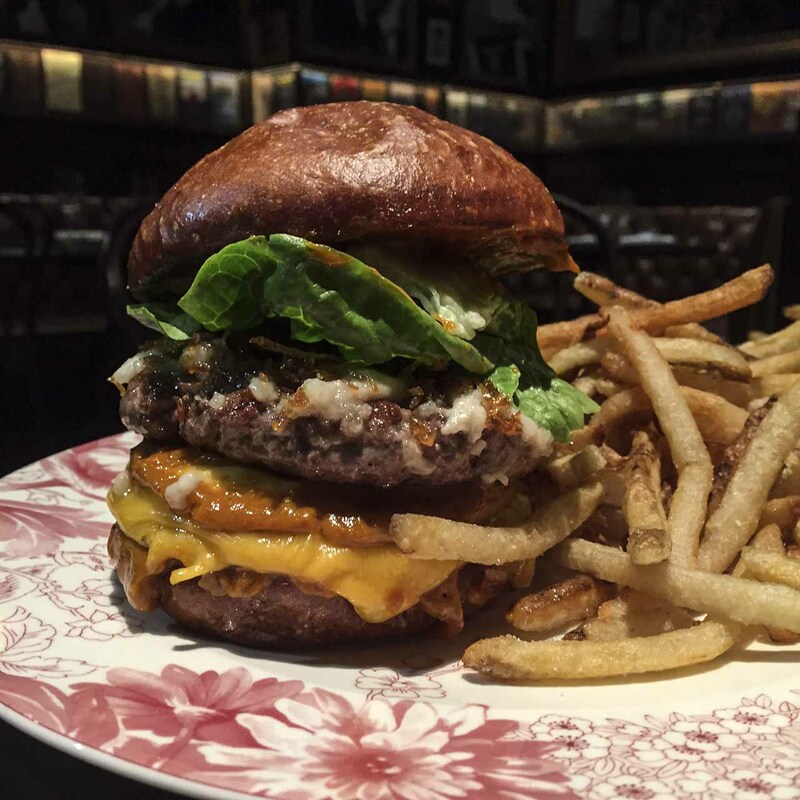 Made with 50 percent dry-aged top round, the 86’d Burger comprises two four-ounce beef patties that sandwich a small round of poached bone barrow studded with crispy shallots. It’s drizzled in Chumley’s secret, barbecue-style sauce (one part of the secret is coffee) and topped with American cheese; it comes in at $25. “I like fatty burgers,” said Blamey, with a shrug. I asked her what other burgers she likes in the city, and she rattled off Corner Bistro’s, because the bar serves it late, Shake Shack’s, because it’s so consistent, and the one Josh Capon serves at Lure Fishbar. 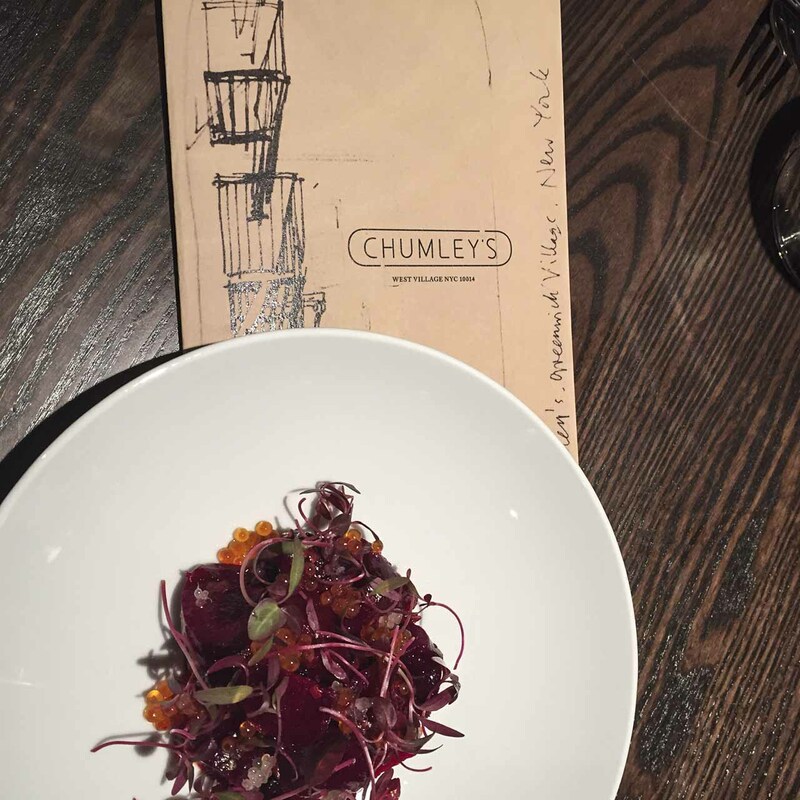 It’s going to be hard not to eat at Chumley’s. But surely, everyone will want to drink; after all, the place started life as a speakeasy. 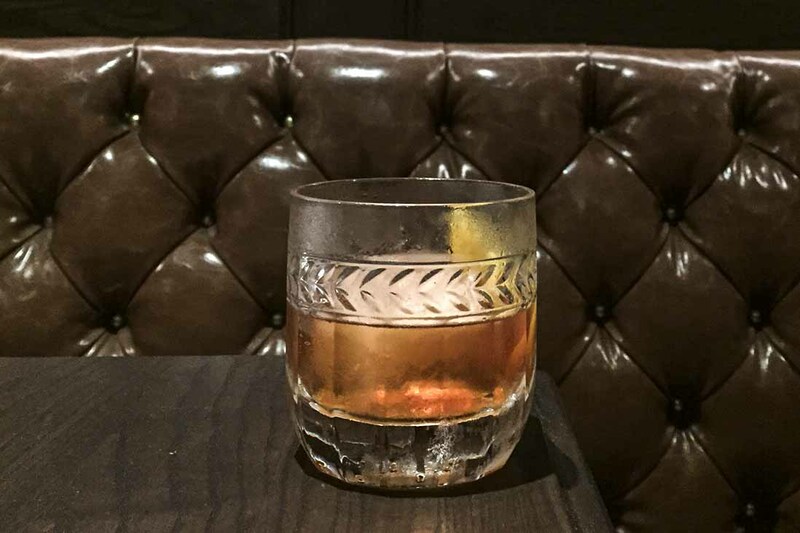 Jessie Dure has stocked her bar with more than 90 types of whisky; among her specialty cocktails, all priced at $16, is the Chaplin made with blended Scotch, fernet, maple syrup, and a chocolate ice cube made from cocoa nibs and coffee extract. It’s perfect with Chumley’s outrageous, messy, and very rich burger. Chumley’s officially opens on Tuesday, Oct. 18. Here’s what’s on the opening night menu at Chumley’s. Subsequent versions will be handwritten every day.